Hey beauty munchers! I'm back with another product from Color Bucket!  This brand is not your usual type of Korean makeup brand, because the shades of products they provide are way too colorful than regular Korean makeup brand. 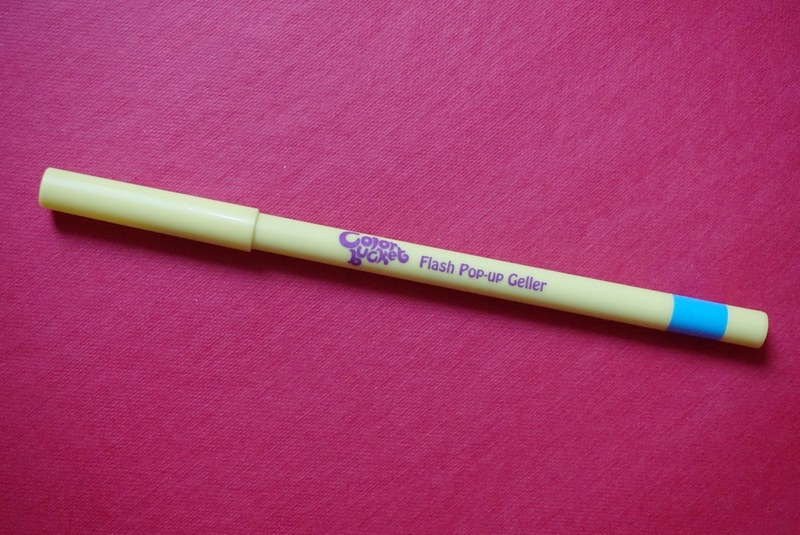 Previously, I reviewed Color Bucket's Flash Pop-up eyeliner and now let me introduce you to Lip Flash Jam! Give your lips a pretty pop of colour by using Lip Flash Jam. A moisturising lip cream available in seven pretty colours, you can mix, match and have fun coming up with hundreds of even prettier shades you can use on your lips. 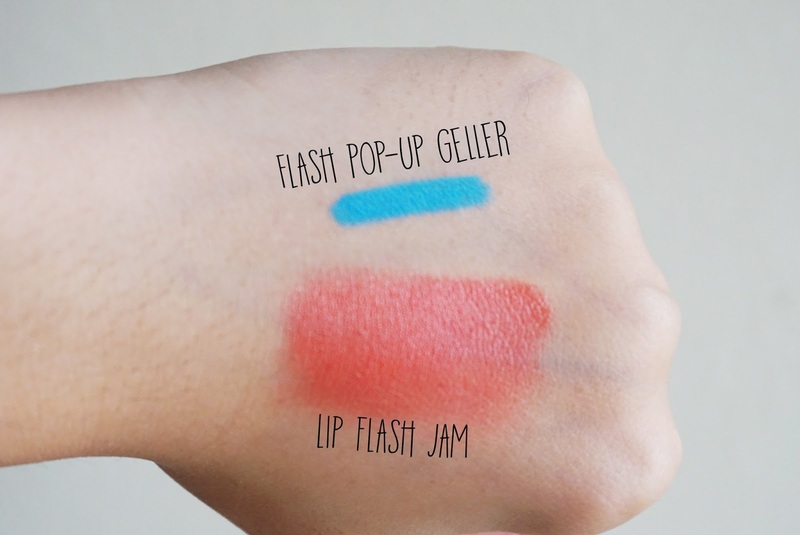 With Lip Flash Jam, you can now start concocting your own unique lip colours. The shade that I got is Orange Fanta Jam. Don't they have the cutest product names? It comes in little squeeze tube. They look tiny, but actually you only need small amount of product, because they're HIGHLY pigmented! Orange Fanta Jam is a fun coral-orange color, that's perfect for Summer. But it's said that you can mix with other Lip Flash Jam to create whole new different shades, so cool! The tip of the nozzle is really small, to make sure you won't spill much product. Remember, a little goes a long way! You also have to make sure to spread it evenly all over your lips and build the color little by little, because the texture of product is a bit watery. Before lipstick application, prepare lips by ensuring they are clean, and made smooth by a balm. 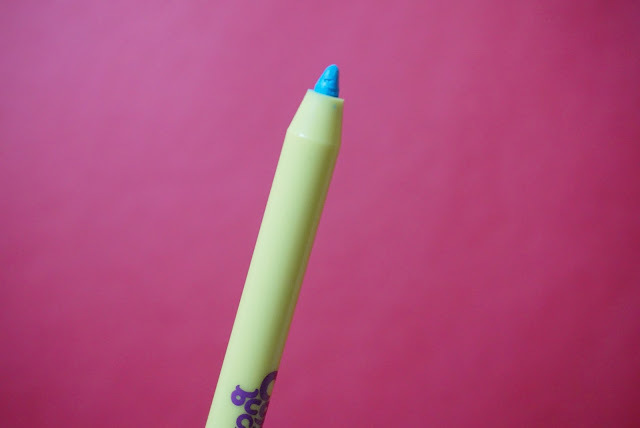 For a perfect lip shape, you may outline your lips with a liner similar to your lip colour. Apply a single drop of Lip Flash Jam onto centre of your upper lip, and spread it out from corner to corner using a lip brush or your finger. Repeat the process on a lower lip. Blot lips by pursing them together over a folded facial tissue. For the colour to last even longer, dust powder over your lips before blotting. I think I'm going to get the pink shade (either Raspberry Jam or Electric Jam) because I can use it as a cream blush as well. It doesn't dry out my lips, and it doesn't stain my lips either. The color will fade eventually after drinking and eating, so you have to reapply every 4-5 hours. I also recommend to use lip liner to line your lips so the Lip Flash Jam won't bleed out from your lips. Banyak orang Indonesia yang sekarang ini lebih mengandalkan online shop Indonesia untuk berbelanja daripada langsung bepergian ke department store atau mall. Sebagian karena tidak punya waktu untuk pergi-pergi, sebagian lagi karena mereka lebih memilih untuk berada di rumah. Tak bisa dipungkiri, toko online menawarkan banyak hal yang tak bisa dilakukan oleh department store biasa. Anda bisa dengan nyaman melihat-lihat barang dari rumah, tanpa harus menginjakkan kaki selangkah pun keluar. Ada lebih banyak pilihan yang ditawarkan oleh online shop, lantaran tidak ada keterbatasan tempat dalam display. Mau lihat-lihat barang di pagi buta? Atau iseng belanja di tengah malam? Anda bebas mengunjungi website 24 jam, tanpa harus menunggu website buka atau tutup. Barang langsung diantar ke rumah Anda, atau Anda bisa memilih untuk mengambilnya sendiri. Anda akan dikenakan biaya yang sama untuk ongkos kirim, jadi manfaatkan saja dengan membeli beberapa barang sekaligus. Kadang kala, diskon yang diberikan untuk barang yang sudah agak lama cukup banyak. Inilah saatnya Anda membeli. Beberapa website mengharuskan Anda jadi anggota, dan beberapa yang lain tidak. Namun ketika jadi anggota, biasanya Anda dapat poin untuk tiap transaksi. Manfaatkanlah ini untuk mendapat potongan harga. Anda juga bisa mengikuti media sosial mereka untuk tahu promo terbaru, dan update ketika ada barang baru. Belanja di online shop adalah cara yang terbaik jika Anda tidak punya banyak waktu untuk bepergian. Selain menghemat biaya transportasi, Anda juga bisa melakukannya di sela-sela waktu senggang tanpa mengganggu kegiatan Anda yang lainnya. Promo yang ditawarkan juga tidak main-main. Anda bisa coba disini untuk mendapatkan barang impian Anda. Call me old fashioned, but I wasn't really interested to try BB Cushion that has been hyped so much lately. I think every Korean Makeup brands have their own BB Cushion, and my dear friend Rini has tried at the very least 5 BB cushion from totally different brands haha. The reason why I didn't want to try it is because I was afraid that the coverage wouldn't be enough for my skin, as I have some blemishes to hide and dark circles to cover. So this is the very first BB cushion that I ever tried! Note: BB Cushion is a liquid foundation that comes in micro foam case. It comes in two different shades: V201 Apricot Beige and V203 Natural Beige. I got the natural beige, and I think I got the wrong shade :( it's too dark for my pale skin. The coolest thing about this cushion is it's water-based, there's no such thing as blotting in the middle of the day when I use this cushion! It has great oil control even if I don't top it off with powder. This water cushion also has SPF 50 PA+++ to protect the skin from the sun. It doesn't have weird sunscreen smell, it doesn't feel sticky at all, instead it has satin matte finish! The size is compact and travel friendly, comes with mirror and puff to transfer the product from the micro foam to the skin. I told you earlier that I was afraid that bb cushion won't have good coverage, but boy, was I wrong! I only need thin layer of product to cover dark circles and redness, it has medium coverage, much better than some BB cream that I've tried. If you need more coverage, you can always build up the layer, and it'll always feel light on the skin just like you're not wearing anything on your face! The only downside for me is it takes more time to apply my makeup with water cushion as I'm more familiar with using face brush to apply my foundation/bb cream. But that doesn't stop me from using this product. I will keep using The Face Shop Oil Control Water Cushion and might be getting the lighter shade, Apricot Beige (hoping that will be the perfect shade for my skin tone!). It's said that one pack of water cushion is for 3-6 months of usage. Once you finish the cushion, just get the refill instead of buying the whole thing as it'll be expensive. I'll definitely bring this cushion to my beauty travel bag later! Bringing this cushion's the easiest way to touch up during the day. This is how it looks on my skin. As you can see, it's a tad bit darker than my skin tone (see my neck). If I got the right shade, it'll be the perfect cushion for me! Sebelumnya kan aku sudah ngomongin betapa helpful-nya kamera Samsung Galaxy J5, sesuai dengan janjiku sebelumnya, kali ini aku mau me-review kembali keunggulan lain dari Samsung J5 #tunJukkanmomenmu. Aku cukup sering berbelanja online, ditambah lagi dengan tuntutan sebagai blogger, harus yang jadi nomor satu buat nyobain produk-produk baru, entah itu kebutuhan fashion atau beauty. Terutama sih produk beauty ya, apalagi sekarang lagi ramai-ramainya lip product, mulai dari yang liquid lipstick, matte lip stick, ombre lip gloss, dll. Sayangnya, ada beberapa problem dengan berbelanja online, yang pertama terkadang warna antara satu shade dengan yang lainnya terlihat mirip dan hampir sama, yang kedua sering banget kalau aku order barang online, yang sampai beda warna dengan yang aku order sebelumnya. Namun dengan adanya sAmoled screen dari Samsung J5, warna yang muncul di screen itu sesuai dengan warna aslinya! Layar dari sAmoled (Super Amoled) ini bisa menghasilkan warna sesuai dengan produk yang difoto, makanya sekarang gak pernah tuh yang namanya salah belanja shade, yay! Selain itu meski di bawah teriknya matahari, screen masih terlihat jelas, karena brightness-nya tinggi, bahkan ada pilihan outdoor juga loh. Kalau yang sudah menggunakan produk Samsung, pasti tahu sama yang namanya GALAXY Gift, aplikasi yang bikin aku selalu buka handphone secepatnya setiap pagi! Kenapa? Karena Samsung suka bagi-bagi voucher gratis!! Ada voucher buat belanja baju, voucher diskon hotel, atau yang paling aku suka sih voucher makan! Biasanya kan harus rebut-rebutan siapa cepat dia dapat, enaknya sih kalau pake Samsung Galaxy J5 atau J7, langsung dapet voucher makan di Nanny's Pavilion (free pancake) dan PizzaExpress (free pizza), tanpa harus rebutan hihihi. I got inspired by so many things. And recently I discovered new things, and being influenced by it in my daily life. Crazy as it sounds, I watched Anne Hathaway's The Intern trailer that will be aired this Fall. I love, love, love, love how she dressed in this movie, as she acted as the founder of a fashion online site, Jules Ostin. In the movie, she dressed up in Fall outfits, and they all look great in my opinion, even her working outfits! I wish I could also be her intern and work in fashion industry hahah. As we don't have Fall season here in Indonesia, this is just my look creation inspired from the movie, also to welcome the Fall season. Wearing a cropped sweater so it's not too hot to wear and midi-skirt. I keep the colour palette as colourful and fun as it can be, just like Jules' personality in the movie! I know I posted a video of how I blow dry my hair couple months ago using hairdryer and round hair brush, but I've found much simpler, easier, convenient, faster way to do my hair. 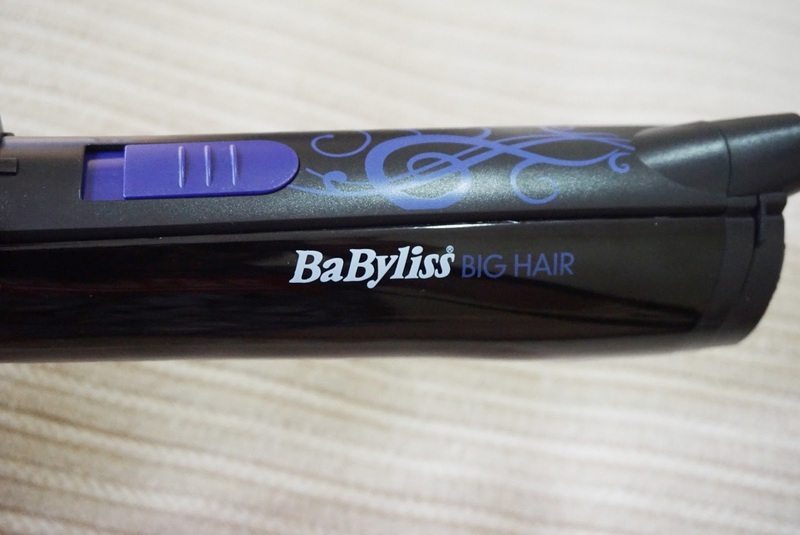 Let me introduce you to Babyliss Big Hair, a blow dryer that rotates automatically to create volume and shape. 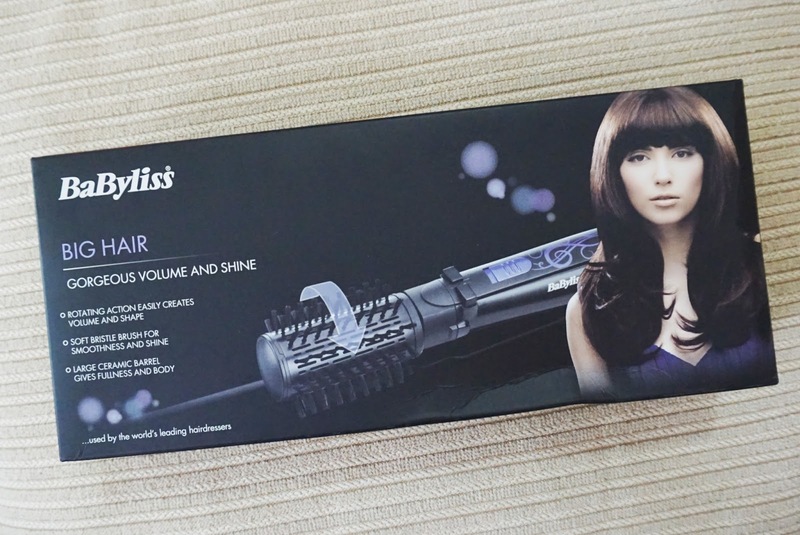 Though I'm sure ya'll have heard about Babyliss, but let me explain a little bit... Babyliss is a famous salon brand that provides professional high quality hair tools, from dryer, curler, brushes, and many more. I personally like this brand because they're really durable, I used their curler in one of my hair tutorial videos and I've had it for at least two years now. The prices of their products are probably a bit steep, but they worth every penny! Because of the big barrel (50 mm! ), I can create such beautiful shapes and volume. The soft brush also helps to smooth out the hair. It also has ionic conditioning to add shine, and makes it safe to use regularly, it doesn't make my hair dry after use. 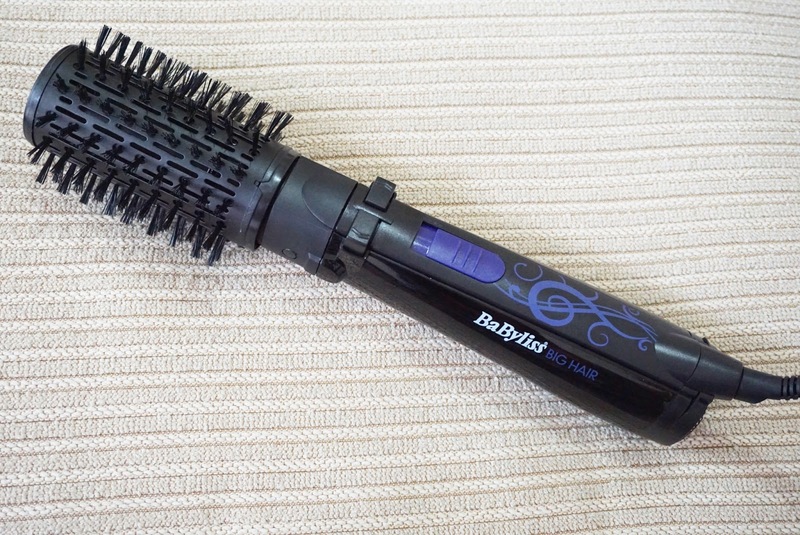 The coolest thing about Babyliss Big Hair is, of course, the automatic rotation, it has power/speed button, and also two other buttons to rotate the brush to the left or right. 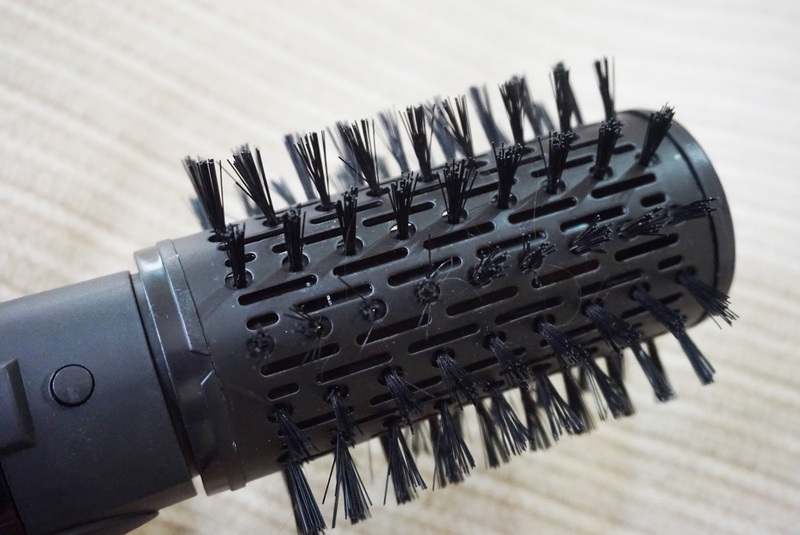 So you don't need additional brush or hairdryer when using this tool. It's so easy to use, even I succeeded using this when I tried it for the very first time! I'm so glad that I got this Big Hair tool before I go to my vacay next month, because I'm sure I will take this with me for traveling! Though the size is a bit big, but the shape is like a cylinder so it won't be too bulky inside my luggage. 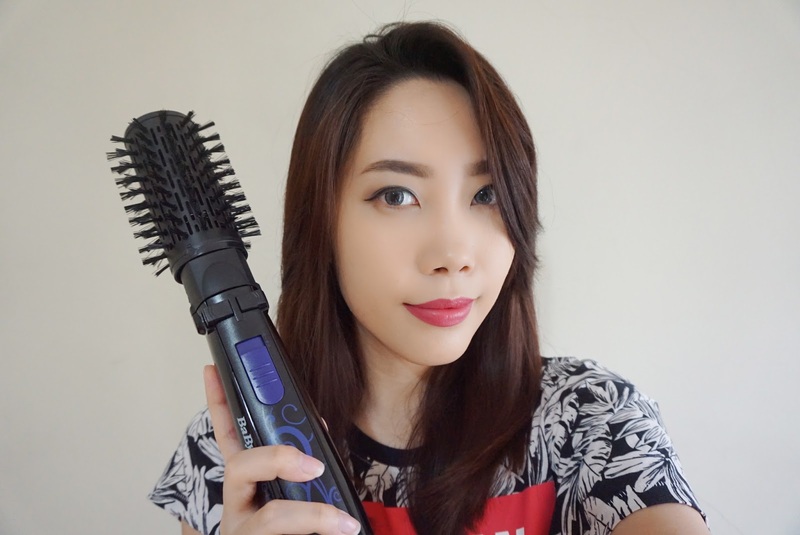 Because of my thick hair, I usually spend 30-60 minutes just to dry my hair using hairdryer, it's usually a troublesome thing to do when I was going to sleep and feeling exhausted, so sometimes I would sleep with wet hair :( While using Babyliss Big Hair cuts the time to 15-20 minutes only! Siapa yang belum tau kalau ada smartphone yang baru launching belakangan ini? Oke, yang belum tau mari merapat... Karena kebetulan banget aku udah pake smartphone-nya duluan, yay! Samsung J5 dengan layar 5 inch ini sangat membantu berbagai aktivitasku sebagai beauty blogger. Sehebat apa sih smartphone ini? I will always be the practical kind of girl in many things, such as makeup or dressing up. 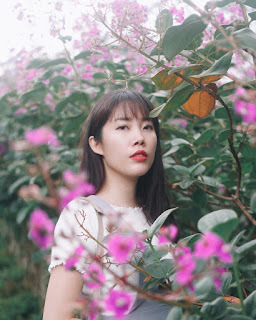 If you've been reading my blog for quite a while, then you must've known already that the kind of makeup tutorials that I have here in this blog are simple ones, the easy-to-do makeup, but then again, I'm not a makeup artist, I just share how I do my makeup. 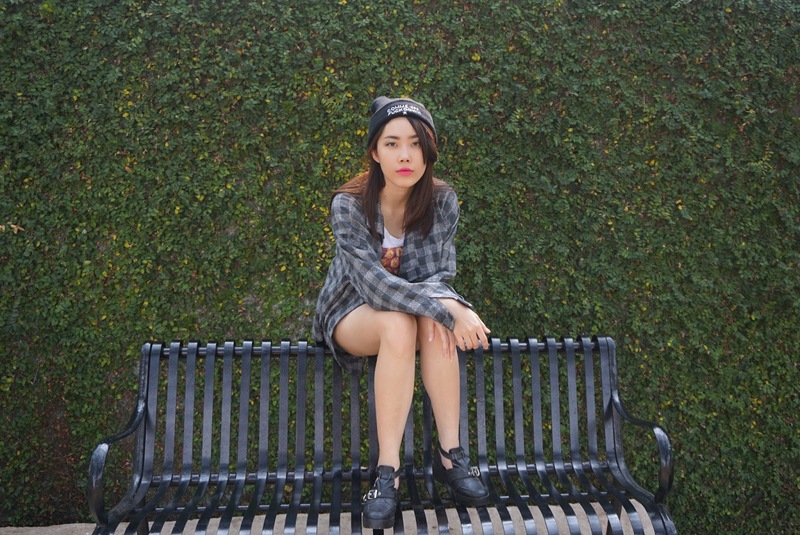 And when it comes to dress up, I always use simple and comfortable clothes depending on the occasion. I like to see how people can pull off tons of accessories on their hands (I always drool over Aimee Song's candy arm photos!) but I don't see that it's convenient for me to wear haha. So I was going to the mall when I took these pics. 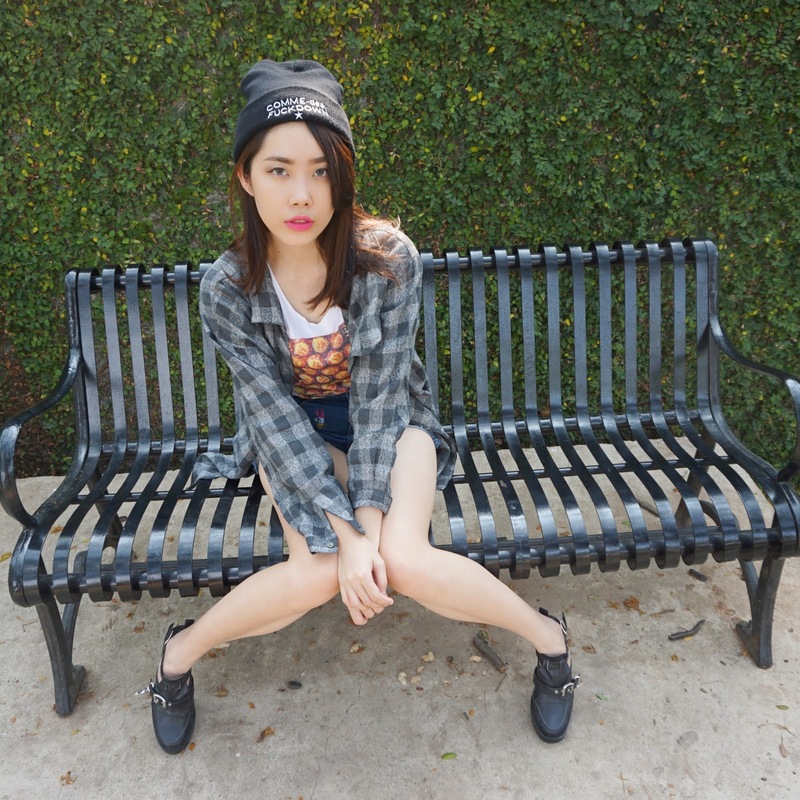 I only grabbed tees and short shorts, then I took Gabbie's outerwear that she bought in Thailand. Isn't the Chupa Chups tee super cute? 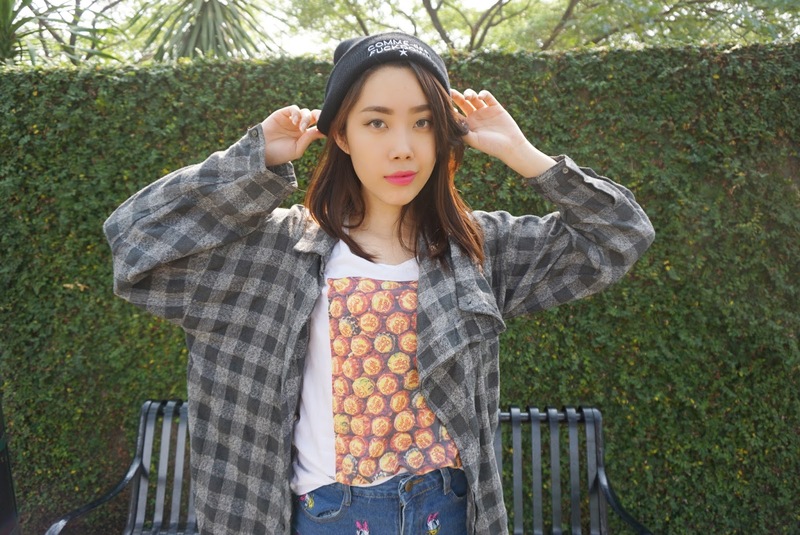 I got this tee from Mon Beau Tee Shirt Imprimé (MBTSI) all the way from France! They have so many great collection of stock photos that you can choose from the website directly. Once you choose the photo, you can pick the size, and cut you want. It took me a while to finally receive the t-shirt in my hand (about couple of weeks) but it totally worth the wait! The size is perfect for me (not too tight and not too loose, just as I predicted it would be) and the fabric of the t-shirt is just the best, no kidding, it's really soft! The printing also looks and feels great, not like usual print t-shirt that I usually find.